AMD just launched the single fastest graphics card on the market. The Radeon Pro Duo is, as its name hints, two Radeon R9 Nanos together on the same card, each cooled by a smart and unfussy liquid cooler. It’s unlikely to hold its title for very long, since both AMD’s own Polaris cards and NVIDIA’s Pascal models are expected later in 2016, but for now this is the piece of silicon that will do things quicker than anything else. The best VR games on PC are what this Pro Duo is intended for. But which titles currently make the cut? When AMD announced the card in March, it was very much with VR content creation in mind. The big idea behind the Radeon Pro Duo’s design is that with it you’re able to allocate one GPU per eye in VR applications, making it much easier to hit the required 90 fps than with traditional single GPUs. However, it’s also sort of intended as a gaming card. After all, the success of NVIDIA’s GTX 980 ti this generation, and the Titan cards past and present, proves there’s a sizeable chunk of consumers who’ll just go ahead and buy the most powerful card out there, regardless of how much fiscal sense it makes to do so. $1500 is no longer considered prohibitively expensive for a gaming card, then. AMD themselves are releasing both Radeon and FirePro drivers for the card, so it’ll be able to operate as a gaming device just fine. And when I say just fine, I mean: two R9 Nanos fine. 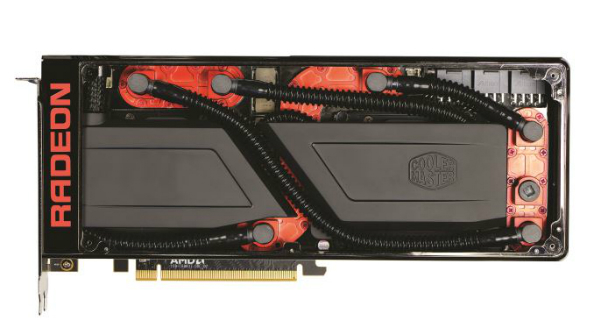 There’s something of a premium attached to having two of those GPUs on one liquid-cooled card, though. Buy one R9 Nano right now and it’ll set you back around $500. Buy two, and… I’ll leave you to do that complex math. Put them both together on one card, and… $1500. It’s the price of that cooling solution, engineering, and the ability to say “I’ve got the fastest graphics card in the world!” from atop your nearest mountain, holding it aloft with both hands and letting your long hair tussle in the wind behind you.